Double victory for the Silver Arrows at the F1 Grand Prix in Melbourne. Yet, not Lewis Hamilton but Valtteri Bottas dominates the race. Ferrari misses the podium. 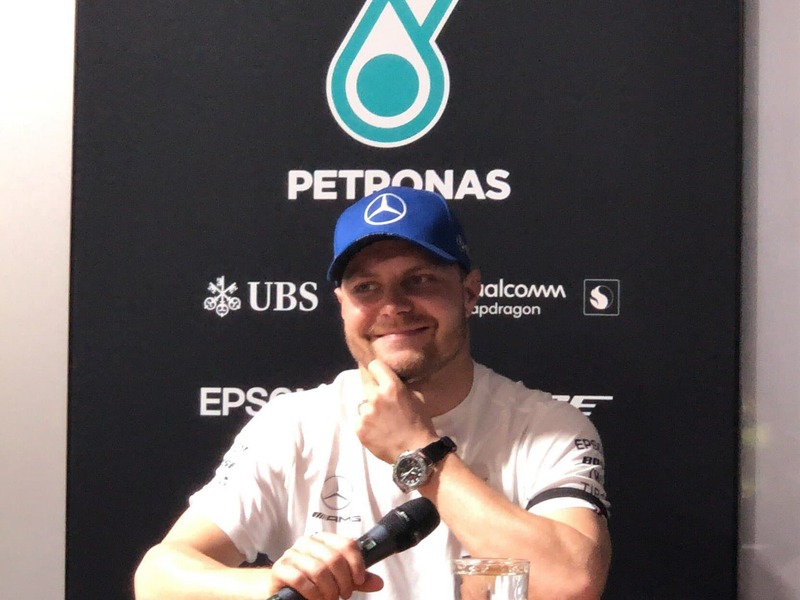 Valtteri Bottas is serious. As he already told ABMS and F1 Insider during winter testing, he doesn’t want to be “Mr. Nice Guy” anymore. In Melbourne, he executed his new persona with perfection. After a year without a victory, Bottas wins in Melbourne and also gets a point for the fastest lap. Final account: 26 points – maximum result! Bottas sets the foundation for his victory at the very start. He overtakes his teammate Hamilton who was on pole position but spins his rear tires with ease. Verstappen attacks Vettel, but the German closes the door. Teammate Leclerc also sits next to Vettel and Verstappen in Turn One but pulls back to prevent an accident. Further back, local hero Daniel Ricciardo bumps over the side lawn and loses his front wing that he needs to replace. Only a few laps later the Australian born driver has to retire. On lap 15, Bottas has already seven seconds ahead of Vettel and four on Hamilton. The Ferrari driver does a pit stop – unexpectedly early. Hamilton reacts and does his pit stop a lap later and stays in front of the German. But the lead shrinks to 1.8 seconds. Leclerc is 20 seconds behind after a quick excursion off tracks. In the meantime, Bottas widens his gap between himself and Hamilton. In lap 23 he finally comes in to do his pitstop. He comes out and even stays ahead of Leclerc, who hasn’t stopped yet. Max Verstappen does his pitstop in lap 26, coming out just behind Vettel. He just needs five laps to overtake the German who visibly has trouble to manage his tires. Vettel is now only fourth ahead of his teammate Leclerc. Leclerc does his pitstop in lap 29 to change tires. He decides to use hard instead of medium, the only driver int he field. Via radio communication, Vettel asks: “Why are we so slow?” Apparently, he loses performance, one second slower than team-mate Leclerc. “I didn’t have any speed in the last third,” explains Vettel later. Leclerc closes is on Vettel and in lap 52 ask via radio communication what to do. The order from the top: To remain in position! On the other hand, Verstappen hunts Hamilton for second place, but can not get past the Silver Arrow. Getting of side-tracks doesn’t help either. In the end, Verstappen competes with Bottas for the fastest race lap, that would have meant another point for the Dutchman, but he loses this duel to Bottas. Cursed: Romain Grosjean has to retire due to left front wheel suspension failure, something he had to struggle with the year before. Apparently, the left front wheel wasn’t properly put on during pitstop – the same issues as the year before. Unfortunate: Robert Kubica comes in last on his return to F1. Williams remains last so far and has a lot of work ahead of them. Previous articleCan Kubica survive in Formula 1? Next articleCould Ferrari’s Front Wing Be the Culprit?